With this module payments made via the gateway of Braintree can be integrated into your WordPress JigoShop shop. In addition to the license of unlimited duration, you receive 12 months access to our updates and upgrades as well as support by phone or mail. A complete overview of all the features can be found in the detailed product description. 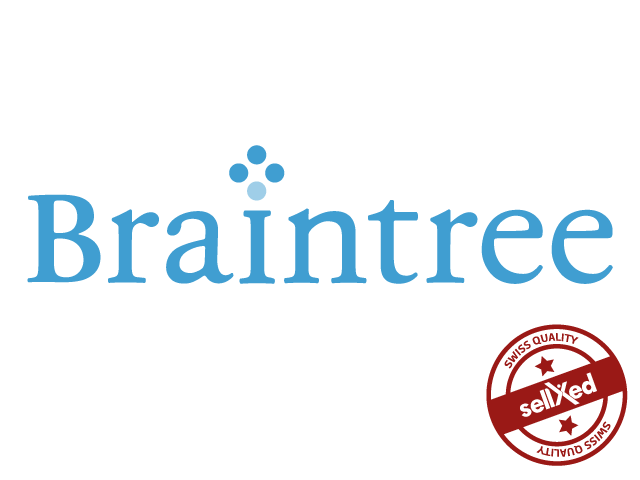 As official software partner our modules are explicitly recommended by Braintree. We trust in our quality. If the module does not work in your shop, you get your money back! Give your customers access to numerous new payment possibilities. 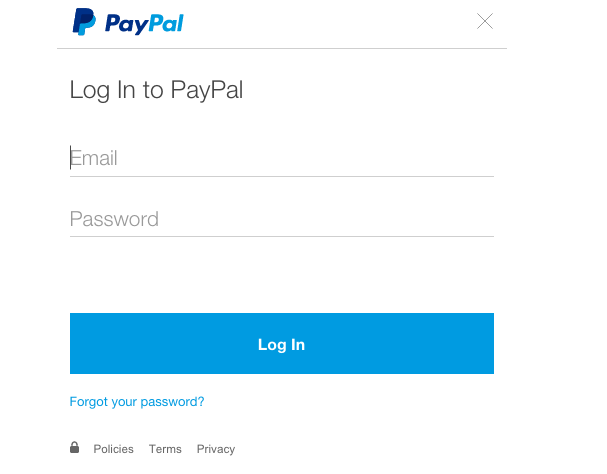 We also integrated PayPal as widget without redirection to PayPal's payment page. Have a look at the demo or the screenshots. A detailed list of the supported payment methods can be found further below. 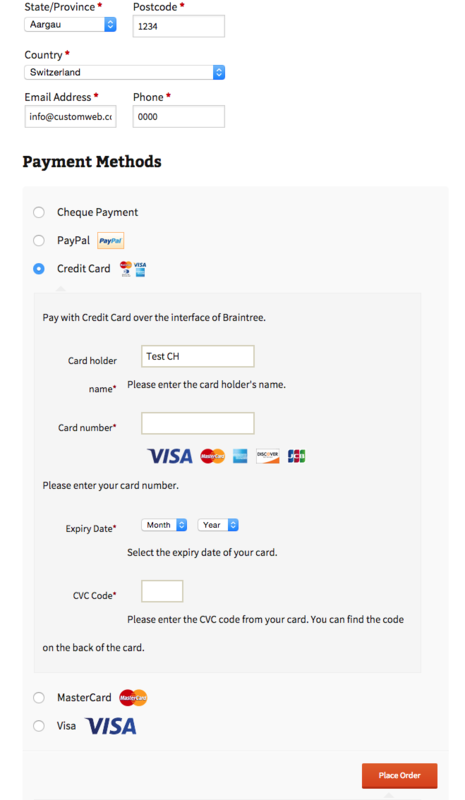 WordPress JigoShop Braintree Payment Plugin supports the Hidden Authorisation. The Hidden Authorisation gives you the advantage that customers no longer have to leave your shop in order to enter their credit card data. The processing occurs unnoticed in the background between WordPress JigoShop and Braintree. No credit card data is saved. Requires PCI DSS SAQ A-EP Certification. In addition to Hidden Authorization, other authorization methods that are fully PCI DSS compliant (Payment Page, Widget, Iframe, etc.) are also supported. A detailed list of supported features can be found below. 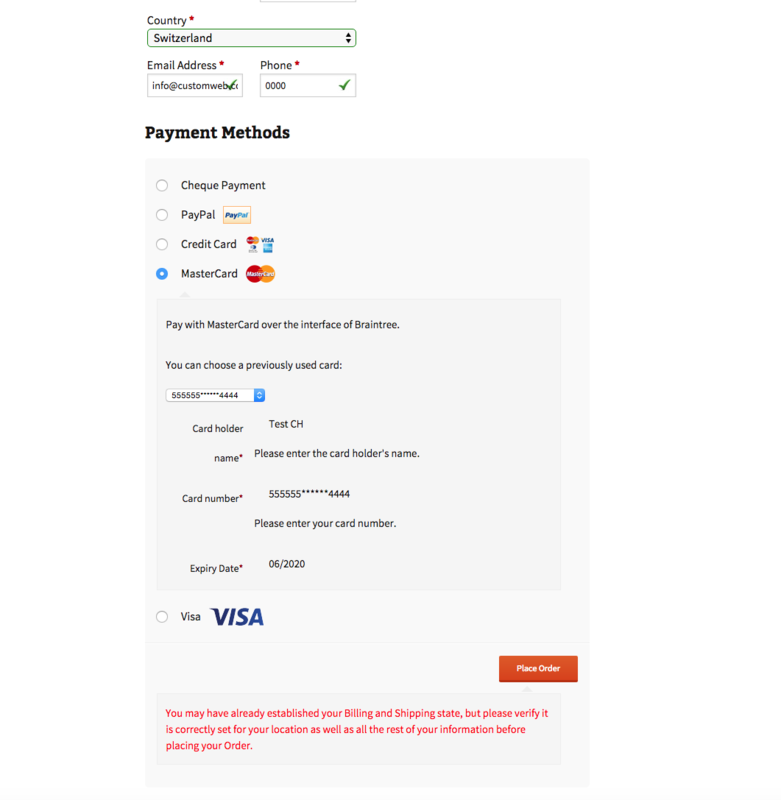 Braintree Payment Extension also supports capturing, cancellation and refund. This means that you can process payments directly from the administration interface of the shop and no longer have to log into Braintree. This simplifies the payment processing a lot. Further information on the transaction manager can be found under payment processing (see below). Due to the integration of the Alias Manager the customer's order process is greatly simplified. Once the credit card data has been entered it can be saved for later purchases. The storage occurs with Braintree and is therefore fully PCI-compliant. With the WordPress JigoShop Braintree Payment Plugin Braintree payment module you are able to take mail and phone orders (MoTo) directly from the backend of your shop. A detailed list of all features can be found under features. We guarantee the functionality of the payment module. You gain 12 months access to all updates and upgrades released by us. The RSS-Feed informs you about the latest changes and that the new version is ready for download in your customer account. Furthermore, you receive one year free support in case you encounter problems during the integration. The module includes a detailed installation manual which guides you step by step through the installation process. Optionally you can also order the installation service of customweb Ltd. Convince yourself and check out the WordPress JigoShop Braintree module directly in our demoshop with a live-version. To do so just click on Demo further below. Customweb is an official software-partner of Braintree. This guarantees all-inclusive functionality and a smooth operation. Our modules are officially recommended for usage by Braintree. Access to updates and upgrades during the one year support period. You thereby ensure the functionality and compatibility to your shop-system and PSP. Better support. We offer you 12 months support via telephone or e-mail. With the optional installation service we, furthermore, guarantee a fast integration into your system. Certified module: the payment modules were developed in close cooperation with the PSP. Increased security. Due to the integrated support service, possible security holes are eliminated immediately. Seamless integration. The support of Hidden Authorisation allows for a PCI-compliant processing of transactions in the background; without the customer being redirected to the payment page of the PSP (requires PCI DSS SAQ A-EP). Transaction management through the shop: You no longer need to log into your PSP account to process payments. Captures, cancellations and refunds can be carried out in the administration interface of the shop. Each payment method is integrated as an individual module. This enables specific settings for each payment method (payment zone, order status, etc.). Additional payment methods can easily be added. The customer's credit card data is saved during the payment process in the PSPs database. The storage occurs with the PSP and is therefore fully PCI compliant. An alias is created for the credit card data which can then be retrieved during the next purchase. Through this, the customer does not have to enter his credit card data again. Payments can be cancelled directly from the shop. This means that the merchant does not have to log into the payment gateway in order to edit payments but can handle them directly via the shop-system. Payments can be debited directly from the back-end of the shop. This means that the merchant does not have to log into the payment gateway in order to edit payments but can handle them directly via the shop-system. Payments can be credited directly from the back-end of the shop. This means that the merchant does not have to log into the payment gateway in order to edit payments but can handle them directly via the shop-system.